5 oz. and 1 oz. 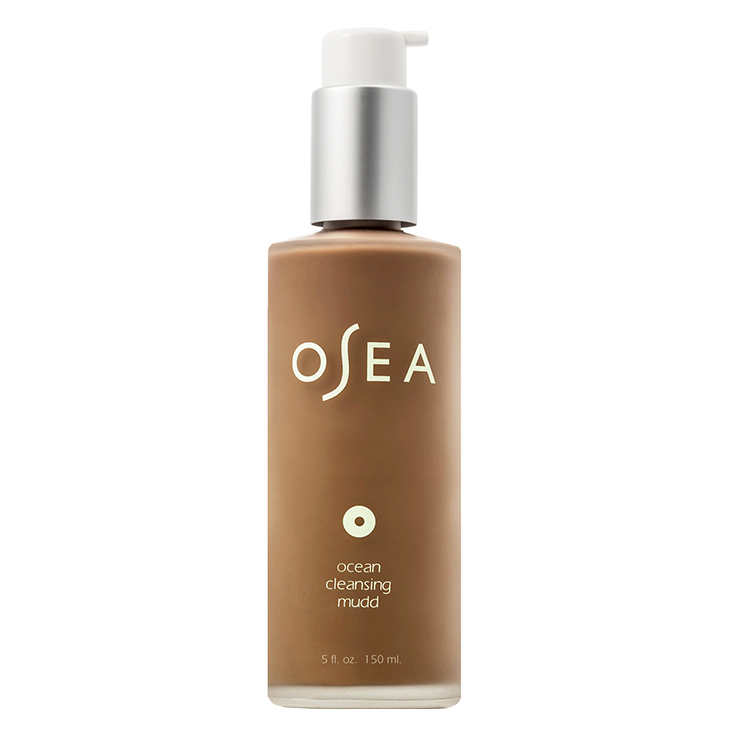 Ideal for those with oily and blemish-prone skin types, OSEA Ocean Cleansing Mudd makes skin feel clean, smooth, and balanced. Brown algae and cypress oils cleanse the skin of impurities and visibly balance oils, reducing the appearance of congestion and breakouts. Jojoba oil is the most closely matched to the skin’s own naturally produced oils, making it well suited to oily skin types, smoothing the appearance and reducing signs of wrinkles. Rosemary, tea tree, and peppermint oils lend an invigorating feel and further the sensation of balance to produce a calm and clear appearance. Apply cleanser to damp skin and massage in circular motions to cleanse away impurities and give a balanced feel to the complexion. Rinse with warm water and pat dry. For best results, use morning and night as part of a regular skincare routine. Aqua, Macrocystis Pyrifera Algae*, Decyl Glucoside, Sodium Lauroyl Oat Amino Acids, Fucus Vesiculosus Extract*, Laminaria Digitata Extract, Coco-Glucoside, Coconut Alcohol, Sorbitan Olivate, Simmondsia Chinensis Oil (Jojoba Seed Oil*, Carthamus Tinctorius (Safflower) Seed Oil*, Melaleuca Alternifolia (Tea Tree) Essential Oil*, Rosmarinus Officinalis Leaf (Rosemary Essential Oil)*, Salvia Officinalis (Sage) Essential Oil, Lavandula Angustifolia (Lavender) Essential Oil*, Mentha Piperita (Peppermint) Essential Oil, Cupressus Sempervirens (Cypress) Essential Oil*, Tocopherol (Vitamin E), Vaccinium Myrtillus (Bilberry) Extract, Citrus Aurantium Dulcis (Orange) Fruit Extract, Citrus Medica Limonium (Lemon) Fruit Extract, Acer Saccharinum (Sugar Maple) Extract, Magnesium Aluminum Silicate, Xanthan Gum, Potassium Sorbate, Lonicera Caprifolium Extract, Lonicera Japonica Extract.